Infections can spread alarmingly easily throughout the population and can cause a wide range of health problems, some of them potentially very serious. The very young, the very old, and those with compromised immune systems are particularly vulnerable to the effects of infections and it is important that we all do what we can to minimize the spread and protect these groups of people. What follows are five of the easiest and most effective things that you can do in order to greatly reduce your chances of spreading an infection. We all know to wash our hands after using the bathroom but very few of us think to wash our hands whenever we cough and sneeze. 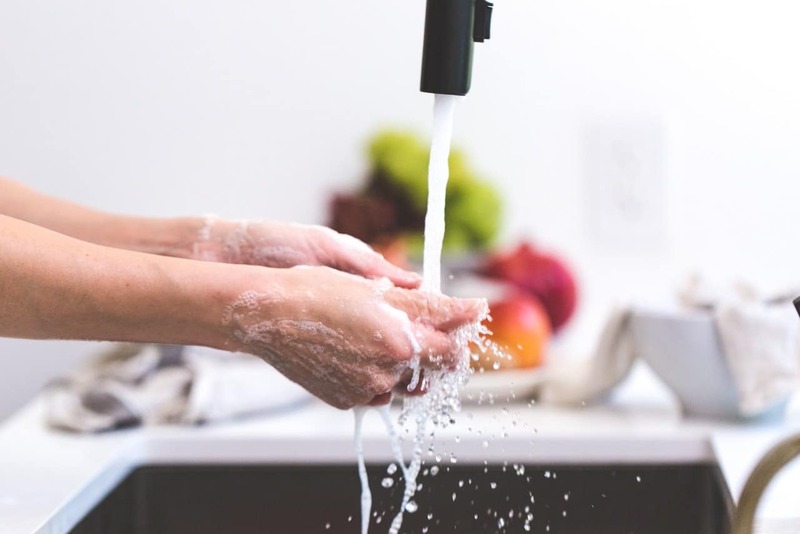 However, there are an increasing number of studies suggesting that we should all be looking to wash our hands more frequently than we currently do. It is also important to note that there is a correct way to wash our hands, ideally you should use both soap and warm water and make sure to scrub thoroughly for at least 15 seconds. Many people incorrectly assume that it is the temperature of the water which clears bacteria away, in fact if the water was hot enough to kill bacteria it would be far too hot to put your hands under! It is in fact the vigorousness of the scrubbing that decides how effective our hand washing is. Another effective way of cleaning your hands is to use an alcohol-based hand sanitizer, these portable sanitizers use alcohol, which is very effective at killing germs, and quickly evaporate off the skin. Sneezes and coughs are responsible for spreading many of the infections which take hold in local populations. Whenever you sneeze or cough, cover your mouth, preferably with the crook of your arm. Many of us instinctively use our hands to cover our faces, the problem with this is that we end up transferring germs in to our hands and then on to everything that we touch, thus we end up spreading the germs anyway. If at all possible you should use a tissue or handkerchief as this greatly reduces the chance of you inadvertently spreading the germs afterwards. Make sure you wash your hands, as described above, to avoid contamination. When we start to feel ill many of us will still go in to our jobs and to school, in fact we all know that one person who won’t take a sick day unless they are literally at death’s door. Unfortunately, this isn’t the best idea for you or your co-workers. While it might seem that taking a day off work will end up inconveniencing the people that you work with and potentially annoying your boss and costing the company money, if you force yourself in to work with an infectious illness then you run the risk of spreading it to other members of staff and costing the company much more time and money than you otherwise would have. The amount of sick days taken in the United States each year is astronomical, and if the original sick person had just stayed home to recover, it could alleviate a lot of suffering, as well as financial strain. If you own the business and have had an employee come in while ill, and you think that they may have passed on an infection to their co-workers, then consider hiring an infection control consultant. By following these three simple rules you can dramatically reduce the chances of spreading an infection to friends, family, and co-workers.